Click on the "X" to close out of the ads. 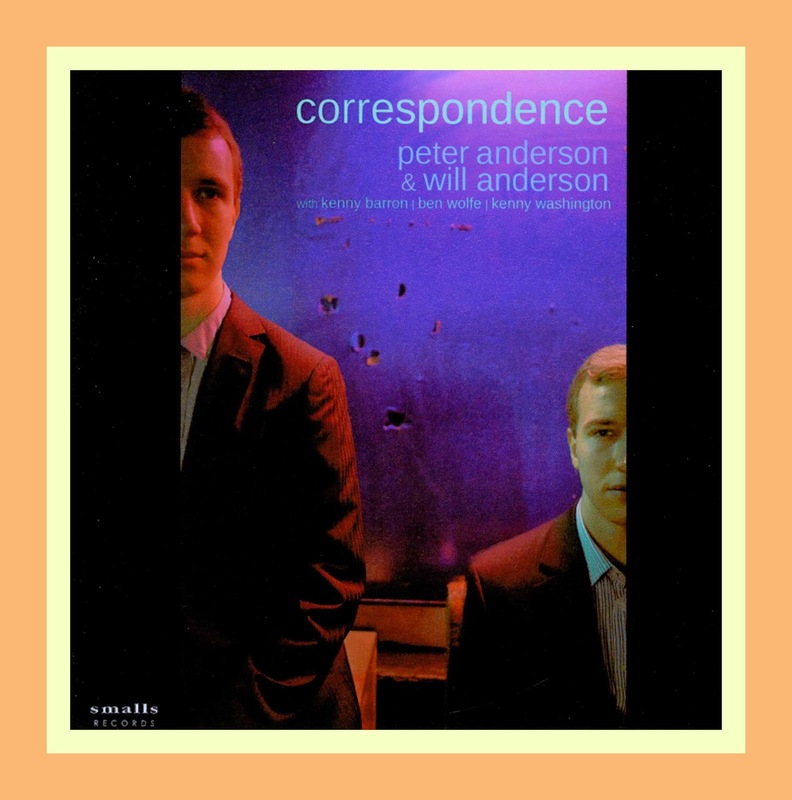 Recently a Jazz buddy in southern California, by way of a recommendation from a mutual friend in The Big Apple, gave me a recording by Pete Anderson and Will Anderson entitled Correspondence which was issued on Small’s Records [SRCD-0053] in 2012. The Anderson Brothers are identical twins which means, I guess, that I was blown away twice at the same time while I was listening to it. What an encounter - love at first hearing - absolutely brilliant music. 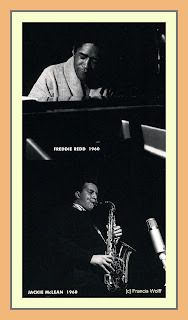 Pete, a tenor saxophonist and Will, an alto saxophonist, had the good sense to surround themselves with a rhythm section made up of Kenny Barron on piano, Ben Wolfe on bass and Kenny Washington on drums, leave everyone with enough room to stretch out and, in the process, create one of the most engrossing and captivating Jazz CDs in recent memory. The disc is available via www.smallsrecords.com. “I've been making all the gigs I can by two reed players, Peter and Will Anderson. 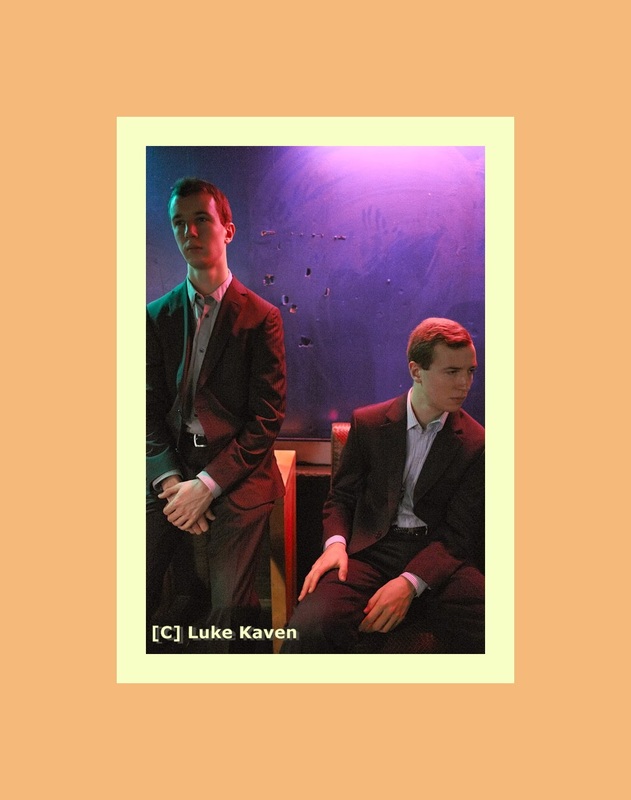 Identical twins, they're still in their early twenties and I can't say enough about them. They're Juilliard graduates, but there's nothing studied about the way that, as instrumentalists, arrangers and composers, they make music. I've listened to them play all kinds of jazz now and have yet to hear an inauthentic note. They easily hold their own with the best of the Dixieland players. They interpret Thelonious Monk compositions in a way that I'm sure Monk would have appreciated. They have a solid grip not only on what Miles Davis and Gil Evans were after in the Birth of the Cool period but on the work of a John Kirby as well. 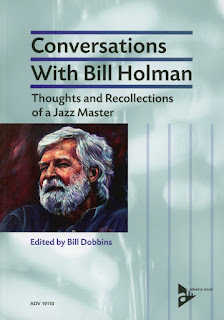 Along with the depth of knowledge they demonstrate about saxophone players as diverse as Johnny Hodges, Stan Getz, Hank Mobley and Gigi Gryce, to name just a few, they understand Ellington and—they play ballads with an emotional sophistication that's way beyond their years—they know what to do with a Billy Strayhorn song. Have I mentioned that they also command their principal instruments, the clarinet and alto and tenor saxophones, with a stunning authority? I could go on and on about the Andersons. Right now the distinctions between them as musicians are as subtle as the differences in their appearances. It will be fascinating to see how they progress, if and to what degree they diverge from one another and what they make of their prodigious talents once they've become fully centered in their individual identities. 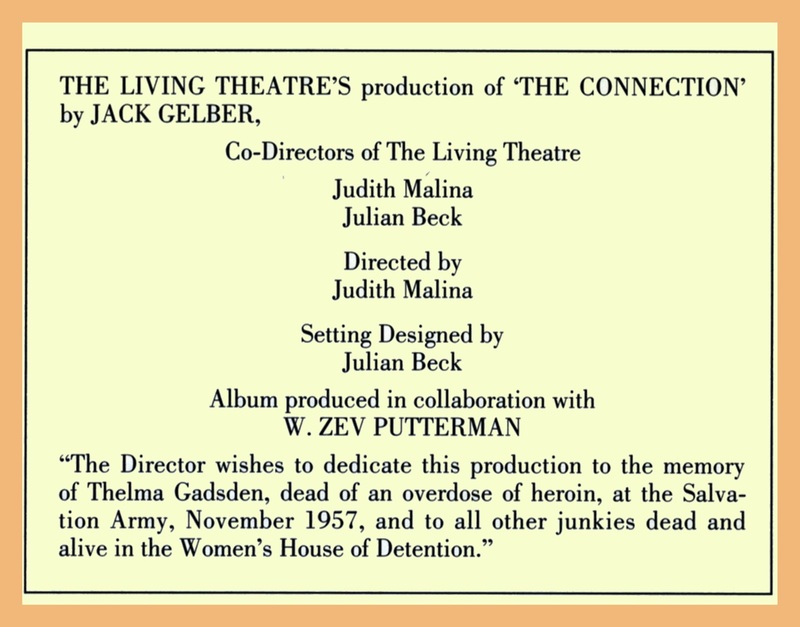 But what they're presenting at this point in their development is already, I think, substantial and compelling enough to be worthy of preservation on a CD or two." You can sample the Anderson Brothers in action along with Kenny B., Ben Wolfe, and Kenny W. on the following video which offers the Get Out of Town track from the Correspondence CD as its soundtrack. "A quintessential bebopper who was incessantly inventive with his melodic lines, Gordon played with authority at all tempos and maintained a commanding presence on the bandstand. His enormous sound, swaggering approach and innate sensitivity would profoundly influence generations of bebop, hard-bop and post-bop saxophonists—Sonny Rollins and John Coltrane among them." The above quotation is excerpted from Ed Enright's essay Everybody Loves 'Dex' which appears in the January 2014 edition of Downbeat magazine along with other tributes to the "Sophisticated Giant" [Dexter was 6'6" tall] by Dan Quellette, from his new book about record producer Bruce Lundvall, who was responsible for helping to return Dex to the US after a 15 year tenure in Denmark and reviving his career with a new recording contract for Columbia, and two pieces by the esteemed Jazz writer and critic, Ira Gitler. All of which reminded the editorial staff at JazzProfiles that it was time to repost this earlier blog feature about Dexter, Ira and some wonderful memories from when the World was young. 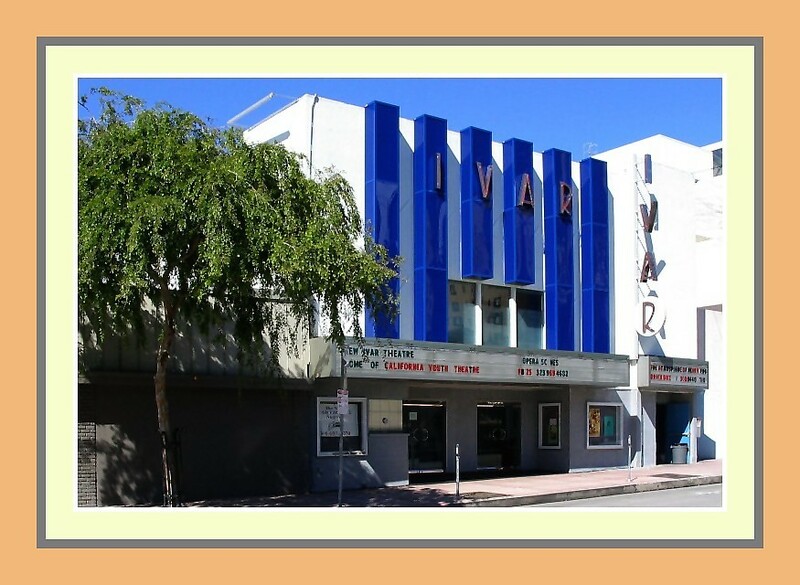 Shades to come of his role in the movie ‘Round Midnight, Dexter “acted” in the play along with performing the music he composed for the play with Gildo Mahonnes on piano, Bob West on bass and Lawrence Marable on drums. 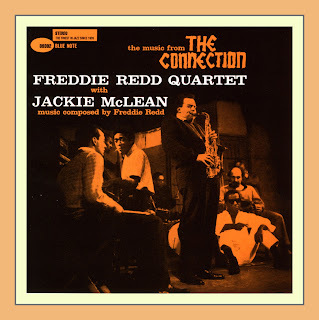 Shortly thereafter I picked up the Blue Note LP The Music from the Connection: Freddie Redd Quartet with Jackie McLean [[B2-89392] with Jackie on alto sax, Freddie on piano, Michael Mattos on bass and Larry Ritchie on drums. It was different than what Dexter had written for the West Coast version although I seem to remember Dexter performing Freddie's Theme for Sister Salvation as the curtain rose and fell at the Ivar. 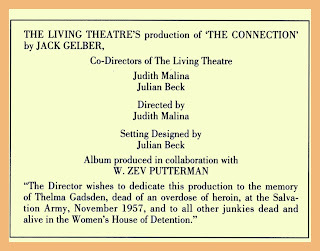 Like Leonard Bernstein, I came away from the play whistling the Theme for Sister Salvation and I haven’t forgotten it since. 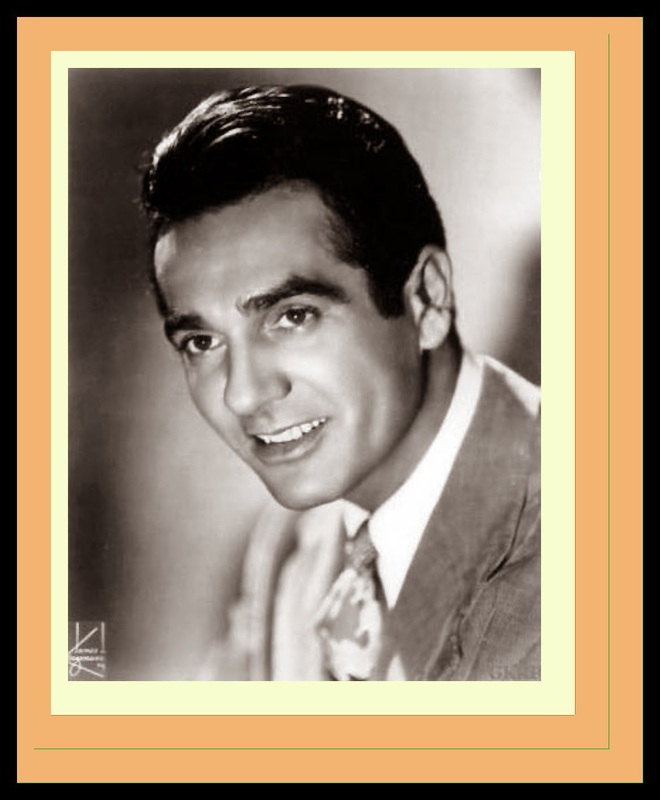 "Gene Krupa was so full of life. And he sure loved to swing." "Gene was the epitome of what you expect in a drummer. The guy was beautiful-looking. . . . And when he played solos in his own particular, easily identifiable style, people would come out of the woodwork. He had something. I guess you call it charisma…. As far as I'm concerned, Gene had more talent than anyone including Buddy Rich. He was fantastic but frustrated. He had so much to say but couldn't get it out. I don't think he used his muscles properly. I didn't like the way he moved. Too much unnecessary motion. Bellson. These guys are like good wine. The older they become, the better they play. If a drummer moves correctly, he keeps improving. If your machine works right, you keep playing well. Simple as that. Everything that Gene played he meant. He was committed to what he played. The acting, the motion, were a part of him. Even when he played the simplest thing, it was dramatic and had a particular sound. The man was a theatrical player. Emotion and theatricality were linked in his case. Without showmanship, it didn't have the same intensity. Even with your eyes closed you could tell if he was performing with feeling or if the whole thing was done deadpan. in jazz. … He was a showman"
"Krupa the drummer is difficult to isolate from Krupa the showman." “But it went beyond showmanship and even chemistry. Simply, Krupa was the right man for the job. 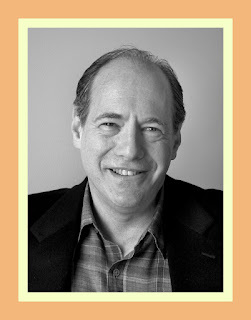 He had developed a style that was consonant with the Goodman style. Both were focused on pulsation, swing. 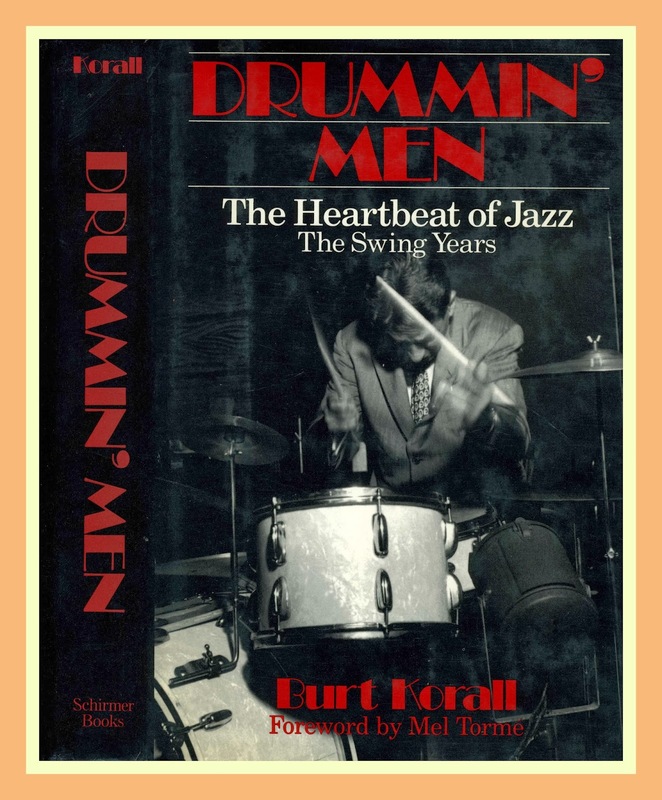 Having smoothed out the pulse to a fluid four, tapped out vigorously on the bass drum, he used that as a basis and addressed the arrangements—by Deane Kincaide, Jimmy Mundy, Fletcher Henderson, etc.—in a manner that strikingly merged drum rudiments and jazz syncopation, and academic and more informal techniques. He made a strong case for swinging and intensive, continuing study. Krupa struck a balance between instinct, the roots of jazz, and a scientific approach to drumming. The language came directly from Chick Webb. But Krupa formalized, simplified, and clarified it. Krupa thrust the drum set into the foreground, making it not only a source of rhythm but of musicality and color as well. Before Krupa, only the great black drummers had so powerfully mingled these key elements. snare drum, bass drum, tom-tom mounted on the left side of the bass drum, and a larger tom-tom on the floor, at the drummer's right; ten-to twelve-inch high hats, thirteen-inch crash cymbal on the left on a stand, an eight-inch splash and fourteen-inch time/crash cymbal (both mounted on the bass drum), and a sixteen-inch crash on a stand, at the drummer's right. Krupa had a lot to do with the development and popularization of tom-toms tuneable on both sides. He also was responsible for the introduction of pearl finishes on drums (most sets had been painted black or white duco). Krupa's was a very special sound and it didn't occur by chance. He would strike the drum head and rim in such a way that the stick carried the impact from the rim down to the tip of the stick and transmitted it to the head, which then acted like an amplifier. Then—and this is the key—he would get the stick away from the head immediately so that it didn't kill the vibrations. Leave the stick on the drum an instant too long, he used to say, and you lose that echo that lingers after that shot and gives it its musical quality. “Krupa viewed drums differently than his younger colleagues. Drummers of the bop generation were endeavoring to free the instrument, make it more contributory, the equal of the melody instruments in the small and big band. They focused on the beat and color values; they played more, filling openings during a performance with "bombs" or comments. Krupa didn't feel natural doing these things. Nor did he favor moving the center of pulsation from the snare drum, bass drum, and high-hat to the ride cymbals, using the bass drum in a sparing manner. Krupa didn't quite know when and how to play accents or bombs on the bass drum. 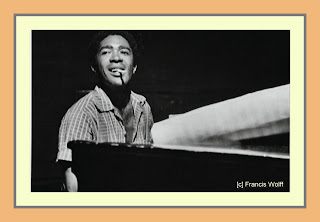 He had difficulty bringing a sense of the melodic to his playing, which was just one of the things modernists such as Kenny Clarke, Max Roach, Stan Levey, Art Blakey, and Shelly Manne, among others, were doing. For Krupa, drums were strictly a rhythm instrument, and making changes in the character of drums was not easy for him. In short, he and his performances revealed an ambivalence concerning the modern style. 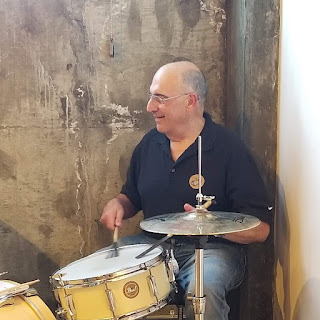 A swing drummer essentially wedded to the snare drum, Krupa was most comfortable in a swing groove, playing as many a swing drummer would, using the snare and bass drums and the high-hat as his basic tools…. “ I watched him change in 1945 and '46 when he was trying to play bebop. At first he didn't seem to really know what to do. But he soon caught on. His bass drumming became lighter—not a hell of a lot, but a little. He started playing time on ride cymbals and dropping bombs, usually on the beat. But on the right beats. On "4" and "3"; not on "1" so much. He'd listen. That was the important thing. He reached a midpoint between swing and bebop and made what he did work. When you think about how good he sounded playing light press rolls over 4/4 rhythm behind a bebopper like Charlie Kennedy, you realize that, my God, he brought two worlds together at a point where it wasn't obnoxious. It didn't sound dumb; it still was okay. And the guys in the band loved him for it; they forgave him for some of the old-time tricks he was laying on them and accepted him. Gene met the young guys more than half way. He had the band's book written modern. He went out to listen to young drummers. Gene was not one of those guys who said only what he did was right. Sure he believed in himself, but the man wasn't an egomaniac. 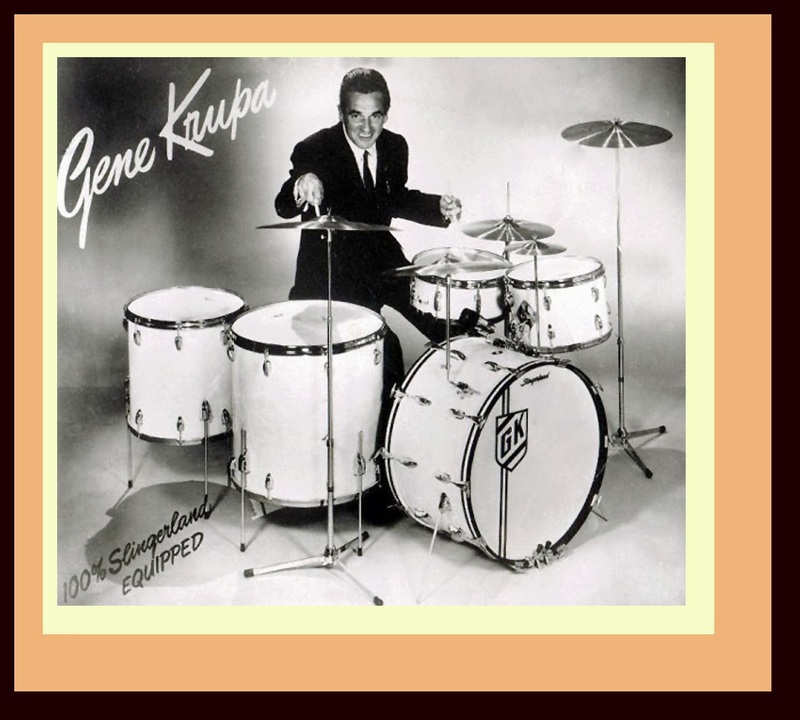 For many years, I thought that Gene Krupa was what Jazz drumming was all about. Period. He was the be-all, end-all; the best; my hero. I’m sure I’m not alone in holding this impression and making this assessment. For a lot of us who grew up banging the kitchen pots and pans to death, he was the quintessential Jazz drummer. In writing a tribute feature about Gene Krupa it is difficult to know where to stop. The accolades and kudos come from everywhere and everyone. 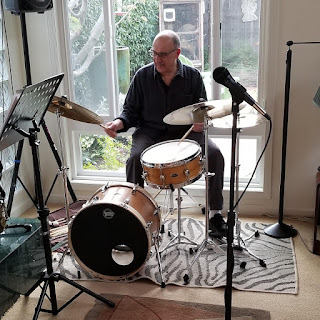 One gets the feeling that there isn’t a Jazz musician, let alone, a Jazz drummer, who doesn’t have some degree of appreciation for what Gene contributed to this music. Some of these testimonials to Gene and his significance to Jazz form the introduction to this piece. As drawn from a variety of sources including Burt’s Drummin’ Men: The Swing Years and Volume 1 of Georges Paczynski’s Une Histoire de la Batterie de Jazz: Des Origines dux Annes Swing, here is a basic overview of the highlights of Gene’s career as a way of remembering how it was for one of the earlier makers of the music while also recalling his many contributions to Jazz during the first half century or so of its existence. His parents were very religious and had groomed Gene for the priesthood. He spent his grammar school days at various parochial schools and upon graduation went to St. Joseph's College for a brief year. Gene's drive to drum was too strong and he gave up the idea of becoming a priest. In 1921, while still in grammar school, Gene joined his first band "The Frivolians." He obtained the drumming seat as a fluke when the regular drummer was sick. The band played during summers in Madison, Wisconsin. Upon entering high school in 1923, Gene became buddies with the "Austin High Gang", which included many musicians which would be on Gene's first recording session; Jimmy McPartland, Jimmy Lannigan, Bud Freeman and Frank Teschemacher. Krupa interacted with the other musicians and introduced the extended drum solo into jazz. His goal was to support the other musicians while creating his own role within the group. Gene is also considered the father of the modern drumset since he convinced H.H. Slingerland, of Slingerland Drums, to make tuneable tom-toms. Tom-toms up to that point had "tacked" heads, which left little ability to change the sound. The new drum design was introduced in 1936 and was termed "Seperate Tension Tunable Tom-Toms." Gene was a loyal endorser of Slingerland Drums from 1936 until his death. Krupa was called on by Avedis Zildjian to help with developing the modern hi-hat cymbals. The original hi-hat was called a "low-boy" which was a floor level cymbal setup which was played with the foot. This arrangement made it nearly impossible for stick playing. Gene's first recording session was a historical one. It occurred in December of 1927 when he is noted to be the first drummer to record with a bass drum. Krupa, along with rest of the McKenzie-Condon Chicagoans were scheduled to record at OKeh Records in Chicago. 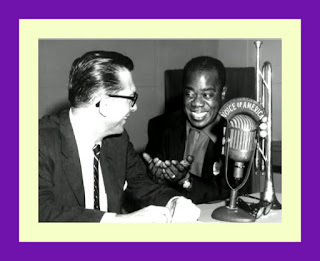 OKeh's Tommy Rockwell was apprehensive to record Gene's drums but gave in. Rockwell said "All right, but I'm afraid the bass drum and those tom-toms will knock the needle off the wax and into the street." Gene moved to New York in 1929 and was recruited by Red Nichols. He, along with Benny Goodman and Glenn Miller, performed in the pit band of the new George Gershwin play "Strike Up the Band." Gene had never learned to read music and "faked" his parts during rehearsals. Glenn Miller assisted him by humming the drum parts until Gene got them down. After "Strike Up the Band" completed in January 1930, Hoagy Carmichael gathered several great musicians together for many historical sessions. Gene played on some legendary "jazz" recordings with Bix Beiderbecke, Adrian Rollini and Joe Venuti. Krupa played in one more pit band with Red Nichols for Gershwin's "Girl Crazy." He then joined Russ Columbo's band in which indirectly led to his joining Benny Goodman's group. Benny Goodman urged Gene to join his band with the promise that it would be a real jazz band. After joining, Benny soon became discouraged with the idea of having a successful jazz group. The band was relegated to playing dance music and Benny was considering packing it in. Upon the band's engagement at the Palomar, Benny decided to go for broke and play their own arrangements. The audience went wild and the band took off. The Goodman group featured Gene prominently in the full orchestra and with the groundbreaking Goodman Trio and Quartet. The Trio is possibly the first working small group which featured black and white musicians. On January 16, 1938, the band was the first "jazz" act to play New York's Carnegie Hall. 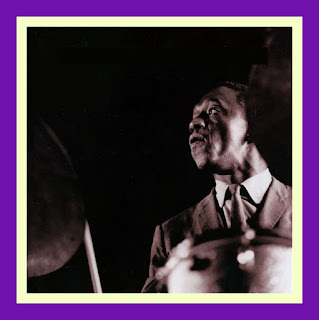 Gene's classic performance on "Sing Sing Sing" has been heralded as the first extended drum solo in jazz. After the Carnegie Hall performance, tension began to surface between Gene and Benny. Audiences were demanding that Gene be featured in every number and Benny didn't want to lose the spotlight to a sideman. Gene departed on March 3, 1938 and less than 2 months later formed his own orchestra. His band was an instant success upon its opening at the Marine Ballroom on the Steel Pier in Atlantic City during April of 1938. His band went through several incarnations during it's existence and at one point even featured a string section with 30 to 40 members. During this time Krupa authored his own book titled "The Gene Krupa Drum Method"(1938) and began an annual Drum Contest (1941). 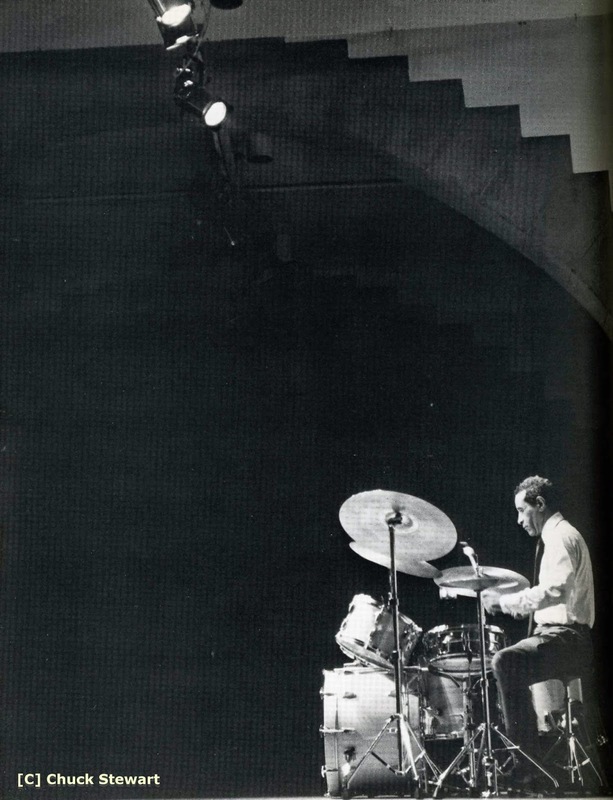 The contest attracted thousands of contestants each year and saw drum legend Louie Bellson as the first year's winner. Gene appeared in several motion pictures including "Some Like it Hot" & "Beat the Band", becoming a sort of matinee idol. 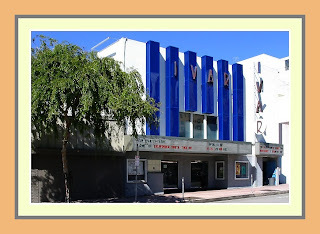 His noted likeness to Tyrone Power and musical fame was a magical combination in the eyes of Hollywood. In the summer of 1943, Krupa was arrested in San Francisco in a bogus drug bust. He was charged with possession of marijuana and contributing to the delinquency of a minor. Gene was sentenced to 90 days, of which 84 were served. He was later cleared of the latter charges. During this time, Roy Eldridge led Gene's band and eventually had to break up the group. After Gene got out of jail, he briefly joined up with Benny Goodman and Tommy Dorsey before re-forming his own band. Krupa's groups of the early 1940's were often criticized as being too commercial but Gene's big band was one of the first in the mid-forties to introduce Bop arrangements with the help of Gerry Mulligan and the playing of trumpeter Red Rodney. Gene managed to keep the full band together until December of 1950, when most big bands had already fallen apart. He kept a smaller version of the big band together through 1951. After breaking up his big band, Gene wasn't sure which direction to take. He had led small groups within his big band during the 40's, this was a logical choice with the growing popularity of be-bop. The Gene Krupa Trio was one of the first acts recruited by Norman Granz for his "Jazz At The Philharmonic" concerts(due to contractual reasons, Gene was first billed as "The Chicago Flash."). The JATP dates introduced the famous "Drum Battles" with Buddy Rich in October of 1952 and the subsequent studio recordings on the Lp "Krupa and Rich" in 1955. Some of the greatest jazz recordings of all time were the result of the "All-Star" jams at JATP. The alumni of these dates included Lester Young, Dizzy Gillespie, Charlie Shavers, Ray Brown, Lionel Hampton, Buddy Rich and of course, Gene. 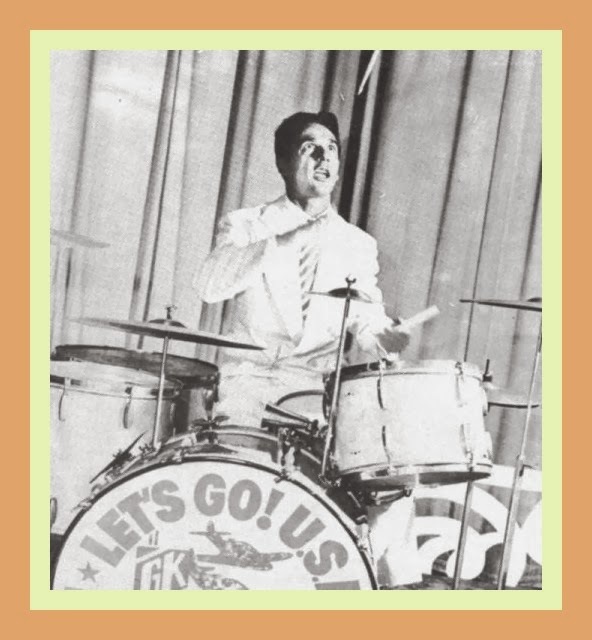 Along with Cozy Cole, Gene formed the Krupa-Cole Drum School in March of 1954. He also began studying tympani with the New York Philharmonic's Saul Goodman(1951). In 1959, actor Sal Mineo portrayed Gene in the motion picture "The Gene Krupa Story." The film was very loose in the facts of Gene's career but did feature an excellent soundtrack recorded by Krupa himself. Gene's huge resurgence in popularity eventually led to his departing the teaching role he had at the Drum School. By the late fifties Krupa was prompted to slow down due to increasing back problems. He had a heart attack in 1960 which forced him into a retirement for many months. After recuperating, the ever-changing Quartet continued to perform, record and regularly appeared at New York's Metropole. The Goodman Quartet reunited and played several live dates. 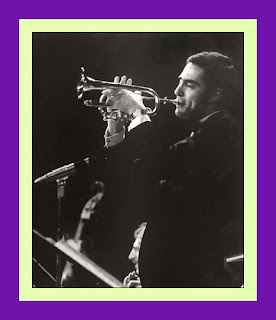 Gene led a hectic schedule with the Quartet through the early and mid-sixties, performing throughout the US and abroad. His health once again became a problem and his second marriage fell apart. He retired in 1967 proclaiming that "I feel too lousy to play and I know I must sound lousy." During his hiatus, Krupa practiced and coached his baseball team. 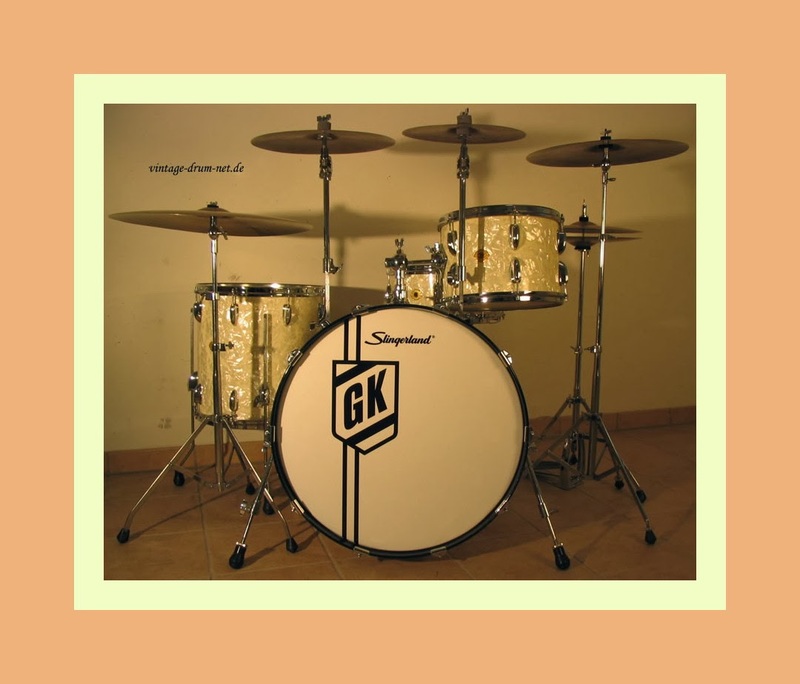 In 1969, Gene began a series of anti-drug lectures and clinics for Slingerland Drums. He officially came out of retirement in the spring of 1970, re-formed the Quartet and was featured at Hotel Plaza in New York. Gene's last commercial recording was in November of 1972, titled "Jazz At the New School" with Eddie Condon and Wild Bill Davison. Gene's final public performance was with a reunion of the old Goodman Quartet on August 18, 1973. His soloing ability was greatly diminished but his overall playing had become more modern sounding than ever. Gene died October 16, 1973 of a heart attack. He had also been plagued by leukemia and emphysema. He was laid to rest at the Holy Cross Cemetery in Calumet City, Illinois. Gene Krupa will forever be known as the man who made drums a solo instrument. 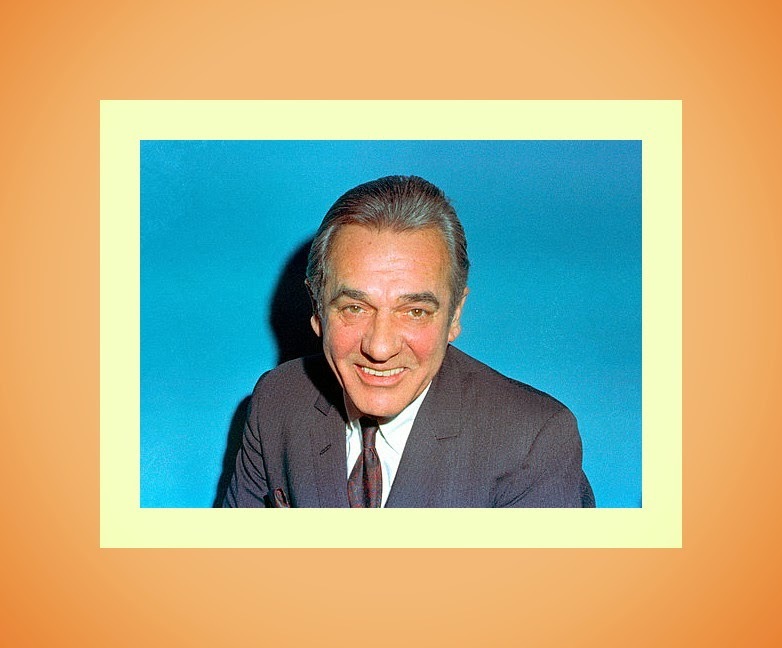 He single-handedly made the Slingerland Drum Company a success and inspired millions to become drummers. He also demonstrated a level of showmanship which has not been equaled. Buddy Rich once said that Gene was the "beginning and the end of all jazz drummers." Louie Bellson said of Gene, "He was a wonderful, kind man and a great player. He brought drums to the foreground. He is still a household name."